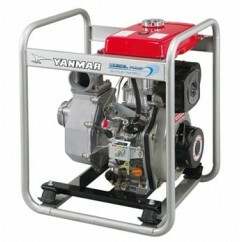 ...including Yanmar Fresh Water Pumps, Semi-Trash Pumps & Trash Pumps, suitable for all manner of applications. So to meet all of your pump needs give Chris and the team at Energy Industrial a call today. Yanmar’s pump series range in bore size from 2″ to 4″ for fresh water and semi-trash models. This series of pumps can handle fresh water and gravel/trash water . Yanmar’s pump series range in bore size from 2″ to 4″ for fresh water and semi-trash models. This series of pumps can handle fresh water and gravel/trash water.